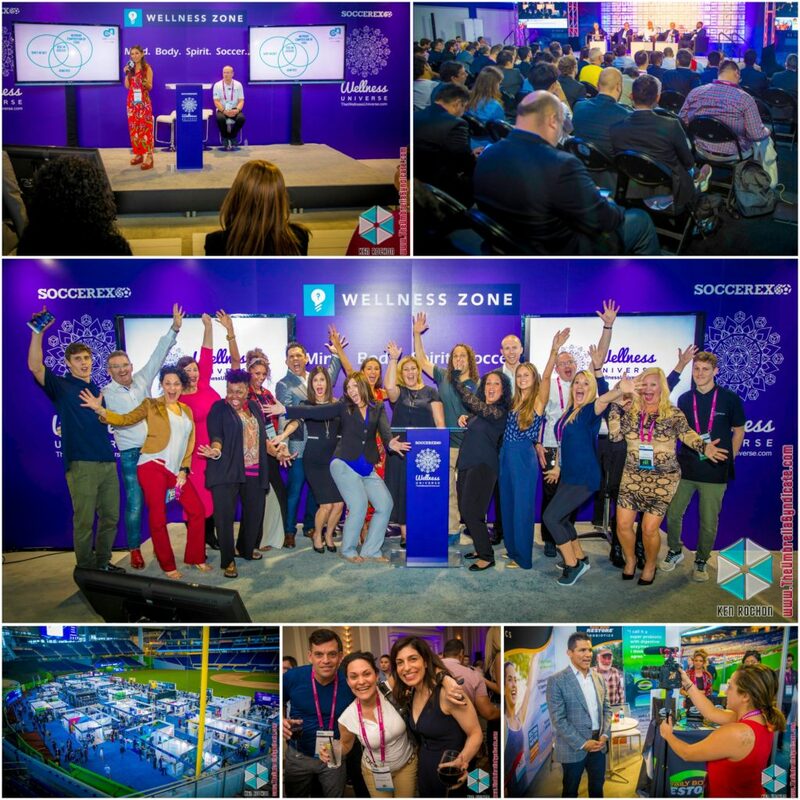 Soccerex returns to the USA to host a soccer business convention in Miami on 15-16 November 2018 in the state-of-the-art Marlins Park, the home of the Miami Marlins Major League Baseball franchise. Sponsored by the London Football Exchange (LFE) and with the support of an Advisory Board including senior members of Concacaf, MLS and US Soccer, Soccerex USA will provide two days of unrivaled commercial, networking and learning opportunities for thousands of soccer business professionals. Cellnutrition nourishes your body with 78 minerals and trace elements in precisely the proportions that your cells require them. And because Cellnutrition is 100% organic, these minerals are bioavailable, which means they can be readily absorbed by your body. Your cells will only accept minerals which are bioavailable. Unlike many other supplements, Cellnutrition is 100% natural and 100% bioavailable. Claire Johnston: I have spent over a decade developing expertise in marketing and global brand management, working in The UK, Europe and Australia.The power of storytelling and developing emotional connections through positive messaging is fundamental to my role at Cellnutrition, along with creating strategic partnerships that help deliver our brand promise to improve the worlds health through innovation. This talk will cover the importance of minerals in the diet, analyse the link between mineral deficiencies and disease and discuss how the sea is one of the most potent sources of minerals. The complexity of nutrient interactions and mineral interdependency will be discussed in this talk leading on to why it is in-effective to isolate single minerals and what we can do to optimise our health today. 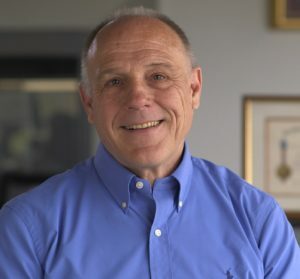 With over three decades of hands-on experience with normal populations, and professional and amateur athletes of all ages, Dr. Stray-Gundersen has constantly been at the forefront of top-level, elite performance, making it better. He brings B Strong Training Systems to Soccerex and predicts it will change how athletes and all populations of all levels of fitness, gain the benefits of exercise, improving performance, recovery, longevity, and quality of life. Stray-Gundersen has served as physician, physiologist and nutritionist for United States, Norwegian, German, and Canadian National teams in sports including soccer, track and field, cycling, swimming, all disciplines of skiing, speed skating, and biathlon, as well as work with FIFA, NASA and Navy Seals, United States Olympic Committee, NIH (Norges Idrettshogskole), Norwegian Olympic Committee and International Medical Committees that include the International Olympic Committee, FIFA, International Biathlon Committee, International Ski Federation, the International Skating Union, USADA and WADA (World Anti-Doping Association). James Stray-Gundersen, MD, BFR Expert and co-developer of B Strong Training Systems, focuses on the specific use and application of Blood Flow Restriction (BFR)Training and its revolutionary benefit as a paradigm shift in training, as well as its’ application and use as an addition to current training for professional football (soccer) players. Use for prevention of injuries, and in rehab/recovery for return to the pitch, as an adjunct to strength training and in conjunction with HIIT (high intensity interval training). Olympic Physician introduces paradigm shift in Strength Training for youth to build muscle strength, avoid injury and sustain mobility, while protecting joints and long-term sports participation. Stronger young athletes will be better prepared to learn complex movements, master sport tactics, and sustain the demands of training and competition whilst simultaneously reducing their risk of injury due to improved muscle support, body control and/or technique. James Stray-Gundersen, MD, BFR Expert and co-developer of B Strong Training Systems, talks with all levels of soccer from the professional to collegiate, to coaches on how proper BFR use, when using safe BFR equipment has benefited their performance, and extended their careers. Neurocore specializes in improving brain performance. We will share with you how we are applying the latest neuroscience discoveries and advanced technologies to help train and strengthen your brain to help you reach your potential. Brain Training: The Next Evolution in Peak Performance. Whether on the field or in the Boardroom, top performers seek out the next big thing to help them gain a competitive advantage. What if it were possible for you to be more calm and focused, and think more clearly and quickly in any situation? Neuroscience has learned that it is possible. Everyday your brain has the ability to change, grow, and get stronger. 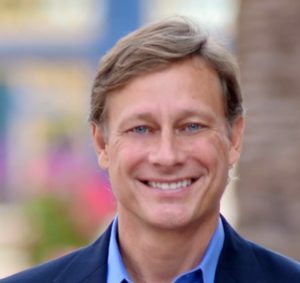 In this informative talk, you will learn about the recent discoveries about how our brain functions, how we can visualize brainwave activity in real time to see what’s holding you back from reaching your potential and learn what you can do to strengthen your brain today to have a better brain tomorrow. Sleep: Your Untapped Superpower. Presented by Dr. Elyse White In ancient times sleep was revered. Then came the Industrial Revolution and the advent of artificial light. Sleep became thought of as wasted time. Today, neuroscience is shedding new light on the importance of sleep to improve health, well-being and performance. In this informative workshop you will learn about the importance of sleep, what happens to our body and brain when we sleep, what are the consequences of too little sleep, and what you can do to sleep better. 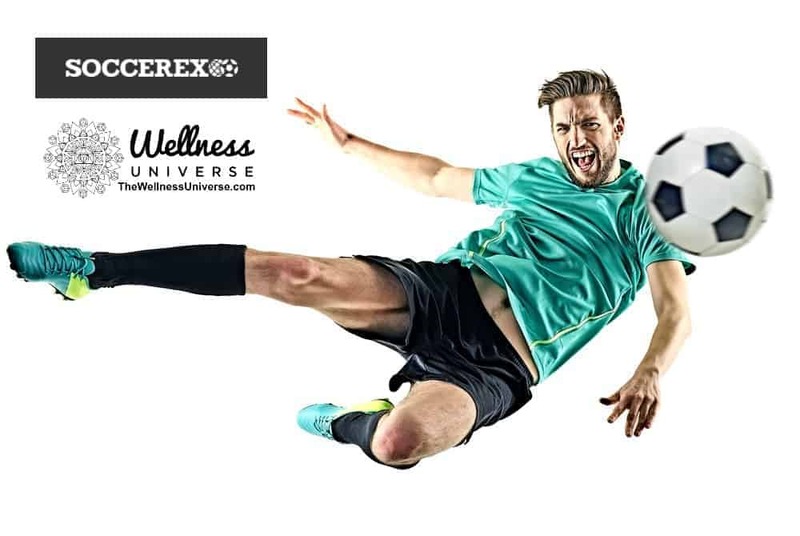 We will bring the Soccerex attendees into the conversation of life transformation through holistic health. Throughout the conference, Melanie, our emotional release expert, will be offering 15 minute sessions to open the conversation to getting rid of the emotional blockages that hold us all back from being the best version of ourselves, and the best athletes that we can be. The five modalities that we teach and utilize are Meditation, Plant-Based Nutrition, Emotional Release, Lifestyle Coaching, and Natural Remedies. 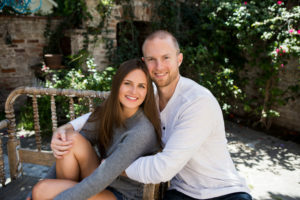 Our mission is to help people and athletes alike live a conscious lifestyle by recognizing that health in mind, body, and spirit is a choice, and individuals must make that decision for themselves. We are guides along the journey, but “you are the one you have been waiting for. The Power of a Conscious Lifestyle. There is a rising awareness amongst athletes today recognizing the undeniable link between physical, mental, emotional and spiritual health. 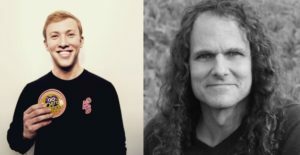 Join the founders of Consciously.org as they guide you through how bringing holistic health and conscious lifestyle coaching into your organization can transform your athletes on and off the field. 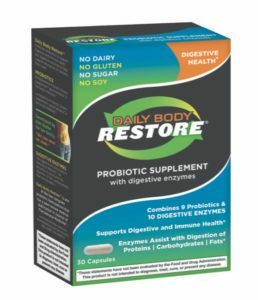 Daily Body Restore® helps support the balance of “good” bacteria to improve digestive and immune health. Daily Body Restore is Sport Certified by Labdoor, an independent supplement-testing company for anti-doping certification testing which allows professional athletes and teams to safely use our probiotic while competing. DBR has many benefits to athletes, of which will be introduced at Soccerex. Join Undefeated UFC Champion Frank Shamrock for his talks on the Wellness Zone main stage. Visionary entrepreneur, ex-con, star athlete, survivor of childhood abuse, international speaker, husband, dad and general defier of the odds. He holds multiple world records that stand to this day and remains the only athlete in history crowned champion of every major MMA sports league. Professional Athletes train hard and usually eat well but Daily Body Restore assists with absorption of nutrients while maintaining digestive and immune balance. Frank Shamrock will be sharing his experience past and present and discussing why you should take Sport Certified Daily Body Restore. Whether you are an athlete or someone that wants to live a healthy lifestyle, you won’t want to miss details on what you need to know about probiotics. 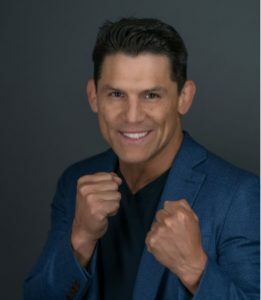 Frank Shamrock will share details on Daily Body Restore benefits, some differences of probiotics in general and why we developed our formulations for our family. Pure Sports Recovery is the leader in neuroscience recovery and brain optimization for athletes. We will be demonstrating our Brain Mapping technology and neuroscience approach that has successfully treated hundreds of professorial athletes improving their quality of life and returning them peak performance. Our programs address addiction, performance optimization, mood disorders, depression, anxiety, sports TBI and more. can maximize an athlete’s consistent performance, longevity and winning edge. We are Future Forward Foods and we make healthy, wholesome, engaging consumer packaged goods to eat and drink. Founded by two health nuts with a passion for change, our products are engaging, fun, convenient and are designed to make it easy to kick the sugar-as-fuel solution so often promoted by your mainstream sports drinks or energy bars. Athletes sacrifice enough and they certainly shouldn’t have to sacrifice their health to stay hydrated and satiated. Performance has come a long way. Not long ago it was all about the macros – fats, proteins and of course, lots of carbs. Even drinks that were just pure sugar water were seen as essential. But those day are over. Top athletes are getting a competitive edge – and prolonging their careers – by ditching the cheap carbs and becoming fat burning beasts. They’re boosting their human growth hormone levels, reducing inflammation and strengthening their immune system with intermittent fasting and ketogenic inspired diets. And there’s a renewed interest in the micro, where gains are seen on the cellular level. It’s time to kick sugar to the curb and make the shift to clean, sustainable performance. 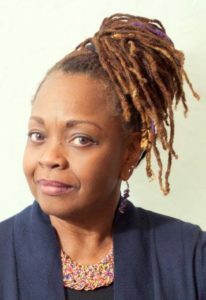 As a Certified Integrative Wellness Coach and former Human Resources professional I will share my expertise and commitment to empowering and equipping women, and the organizations that employ them, to live authentically and vibrantly as individuals, teams, and organizations. As an attendee you will learn the significance of unifying and enhancing a woman’s 12 life areas so that she’s empowered and equipped to live authentically and vibrantly while reaching her full potential, both personally and professionally. The importance of (and creating opportunities for) self-care, self-growth, and self-expression will also be discussed. 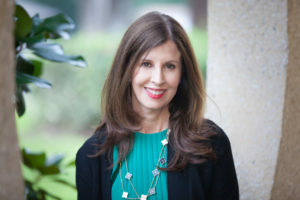 Attendees will also hear how cultivating and nurturing integrative wellness for women contributes her overall well-being positions her organization’s sustainability throughout local and global communities. 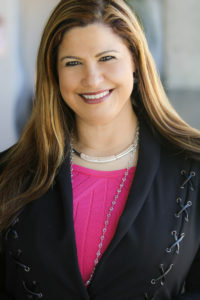 Orly will bring her trademarked Mindset Mastery Coaching Program and Business Coaching for Public Speakers to Soccerex. She will guide attendees in breaking through subconscious challenges, letting go of limiting beliefs, and will prepare them for life beyond the sports world and consider public speaking to be their career beyond the field. Orly teaches Soccerex attendees how to share their message while producing income through public speaking. The language we use on a Daily Basis is the creation source of our reality. To change our outcomes we need to change not only our mindset but our language on a deeper level. Mindset Mastery – Business Development Talk: How to Monetize your Experience After the Game through Public Speaking. Public Speaking is the fastest growing industry with 100% return on investment for getting, retaining and securing repeat clients. It is a Must for any Entrepreneur or a Pro Athlete. Joni will be presenting on the power of the mind as it relates to high performance. 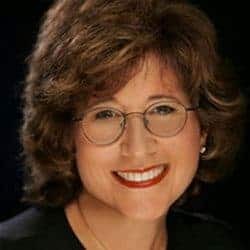 She will explain what hypnosis is and what it isn’t .She will discuss how she uses hypnosis, self-hypnosis and neuro-linguistic programming techniques to assist athletes with handling pressure, adversity, and focus. Joni will demonstrate simple, portable yet powerful techniques that will help the athletes develop inner coaching that will help them overcome any internal or external obstacles that may be present at competitions. Joni will be speaking about the importance of using the subconscious mind to perform at the highest level during competition. She will also discuss the role of the conscious mind as it relates to athletic technical and physical training. Joni will demonstrate a few simple techniques that have helped athletes from the age group level to professionals successfully make that important shift from using the conscious to the subconscious mind when it’s time to step up and compete.